Lääne-Virumaa, meaning western Virumaa, is only an hour’s drive from Tallinn, heading east. Lahemaa National Park, Estonia’s largest, and some say most stunning national park, offers picturesque coastlines, lush forests, and little villages scattered in between. It is the perfect escape from the city as either a day trip from Tallinn or as part of a longer stay. The park is home to 840 plant species, including 34 rare ones. There are also many animals, like bears, wolves, and lynx, which are best seen on a nature tour. Lahemaa is also a popular destination for birdwatchers, with over 200 species that nest there. Lahemaa is just as beautiful in winter as it is in summer, with snowy forests and frozens seas. There are plenty of places to stay, from quaint guesthouses to restored manors to campsites. Loksa is the main town within the park and is a popular beach destination in summer, as is the village of Võsu. Käsmu attracts thousands of visitors each year with their Kaunid Kontserdid Käsmus concert series. Nature lovers may also enjoy Kõrvemaa Nature Reserve, where you can explore kilometres upon kilometres of boardwalks through the bogs. It’s home to many rare bird species, especially in autumn. In winter, it’s a popular destination for cross-country skiing, with a large number of well-maintained tracks of varying degrees of difficulty. Lääne-Virumaa is spotted with several old Baltic German manor houses, many of which have been restored to their original glory. Places like Vihula and Sagadi manors, offer gourmet cuisine with fine accommodation for those who want to indulge. The RMK Sagadi Forest Centre comprises of a manor house, forest museum, park, architectural monument, and historical sight. Sagadi’s history dates back more than 500 years. Today, the barns, dairy and other out buildings have been beautifully restored and have received new functions. Stop in to learn more. Palmse Manor houses a rustic pub where you can enjoy some local flavours in summertime, as well as other restored buildings. Be sure to make a stop in the quaint little fishing village of Altja, where you can also try local dishes at the tavern. 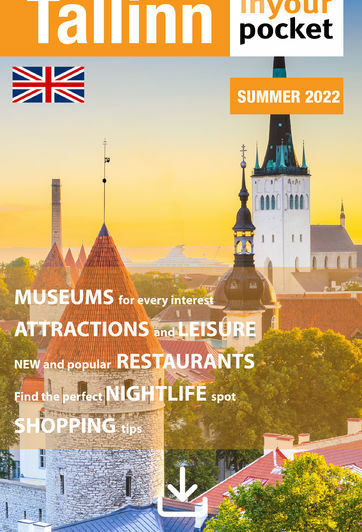 Rakvere, the county’s largest town and the seventh largest in the country, is home to Rakvere Castle, a majestic 14th century castle that sits proudly on the hill in the centre of town. The grounds can be visited and you can try your hand at archery and other medieval crafts. Rakvere is roughly halfway between Tallinn and Narva, making it a great place for a short stop or an overnight stay. Arvo Pärt, Estonia’s most famous composer lived here as a child. The town is also home to the Estonian Punk Song Festival, which takes place every three to four years. For more information visit www.visitestonia.com/en.